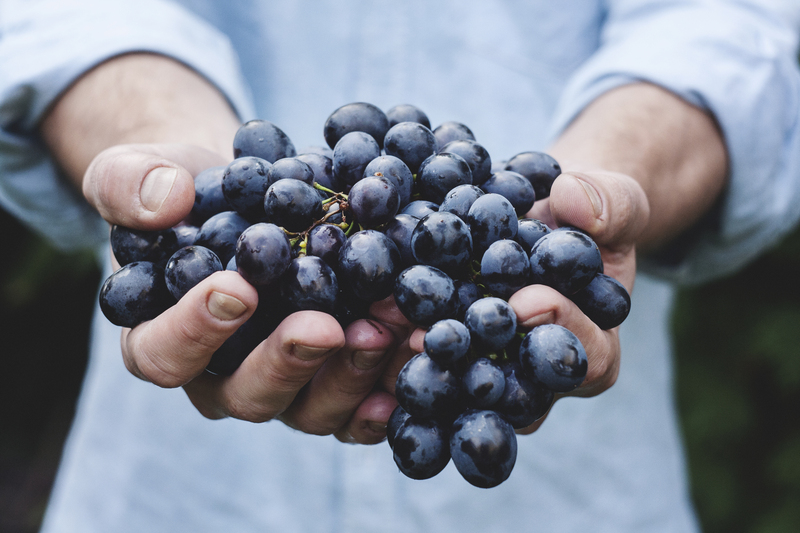 Farmers markets, which are opening up for the season, are a wonderful place to gather fresh, seasonal produce while supporting local farms and foods. 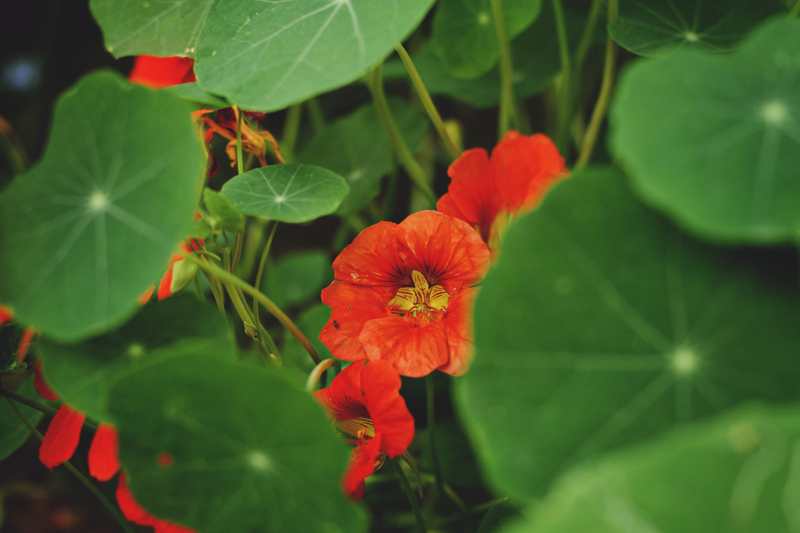 Kiddos can learn more about how food is grown from the farmer's themselves — and even get excited about new ingredients they might have originally been too reluctant to try. We've rounded up 12 kid-friendly market recipes to try this summer for all kinds of fresh superfood fun! Anything in pizza form is an easier sell for the kiddos. 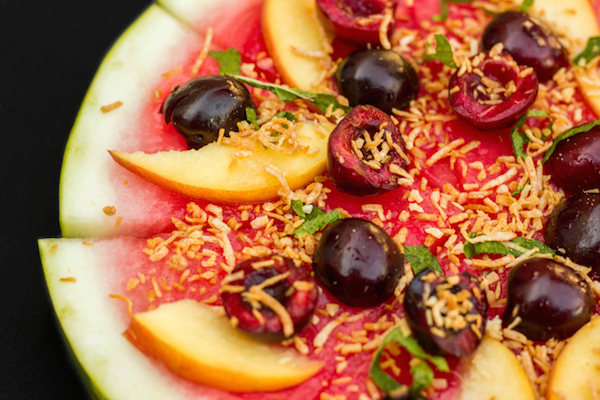 This colorful watermelon pizza by The Cookie Writer is topped with cherries, peaches, toasted coconut and pureed strawberries and mint for the “tomato sauce” — so clever, and a great way to serve those well-loved Northwest cherries. 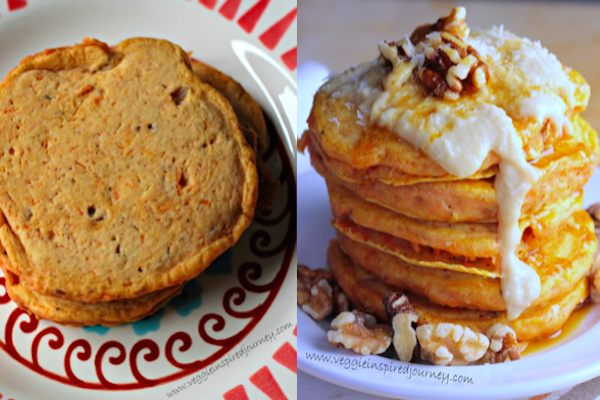 Plus, this combo is vegan, gluten-free and dairy-free. …maybe they’ll ask for more fruit. 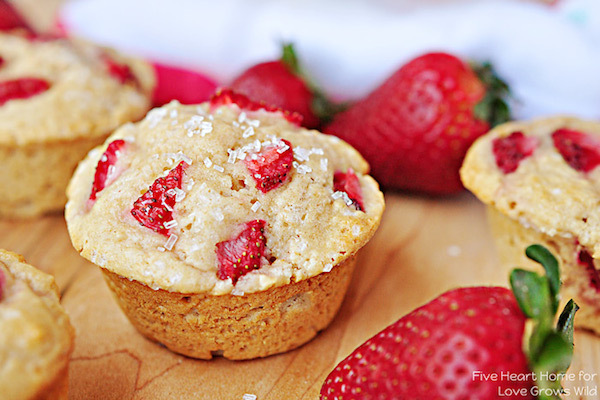 Love Grows Wild shares a recipe for whole-wheat muffins that are packed with market-fresh berries. The trick to this recipe is using whole-wheat pastry flour for a lighter muffin without the overpowering flavor of wheat. Don’t forget to bring backup to help you carry out all of the fresh veggies needed for this farmers-market salad by Pack Momma. Ready for the shopping list? Lettuce, red onion, zucchini, corn, sugar snap peas (still not done yet), tomatoes, black beans, a jalapeño and cilantro. 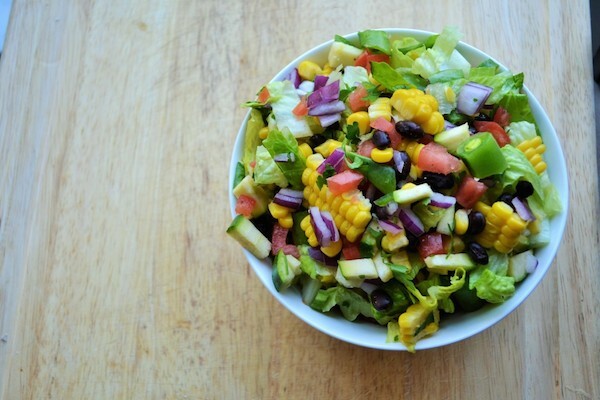 Chop and dice, then top with a vinaigrette, or a few squeezes of fresh lime. Whew! Lunch is served for the week. Kiddo sleepover looming in your future? 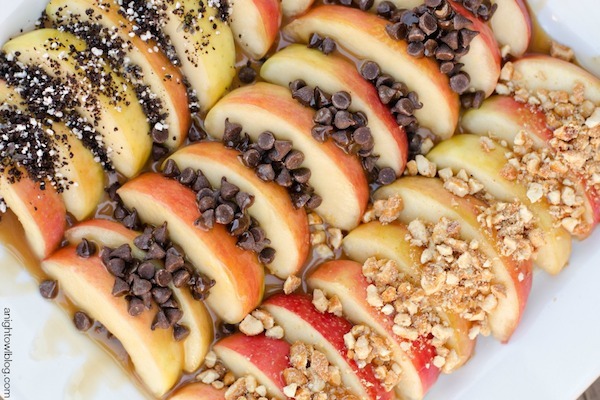 This idea for caramel-apple “nachos” by A Night Owl is a night-saver and fun to make. Slice up some fresh apples, drizzle with caramel sauce, then sprinkle with toppings like cookie crumbs, chocolate chips, or nuts — a one-platter wonder worth sharing. Ever leave the farmers market with a bag full of veggies, but with no recipe in mind? 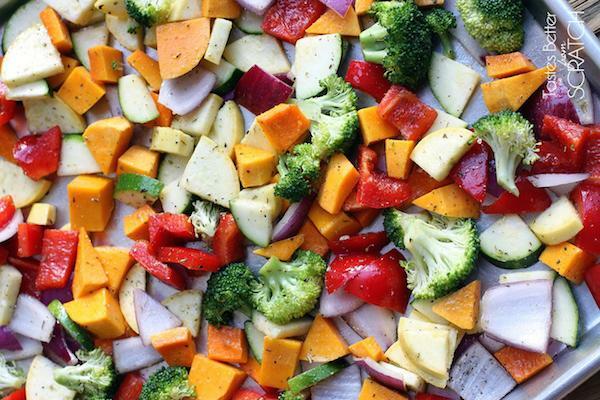 To save your bushels from the compost pile, grab the stragglers and make a large pan of roasted veggies to share. With Tastes Better From Scratch’s method of tossing in-season veggies with olive oil, garlic, herbs, and salt and pepper, you’ll always have a simple side dish on hand. A good tomato tart satisfies all cravings — salty, sweet and savory. 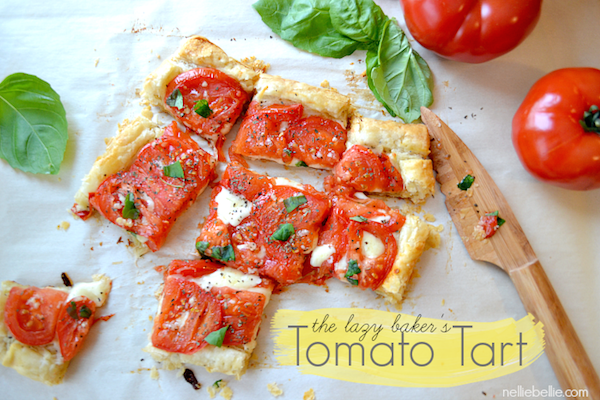 Fresh on-the-vine tomatoes from the farmers market, puff pastry and cheese are the main ingredients to this “lazy baker’s” recipe by Nellie Bellie. Tomatoes + fresh herbs = instant summer. The ingenuity of the pita. Top it, toast it, dip it, grill it. Take a cue from Mash Makes and load a pita with market finds like arugula and bell pepper to make a fresh and fast meal — all the flavors of the season in one delicious bite (after bite, after bite). At Seattle’s famed Pike Place Market, you’ll find flying fish, and even a flying bag of shrimp or two. 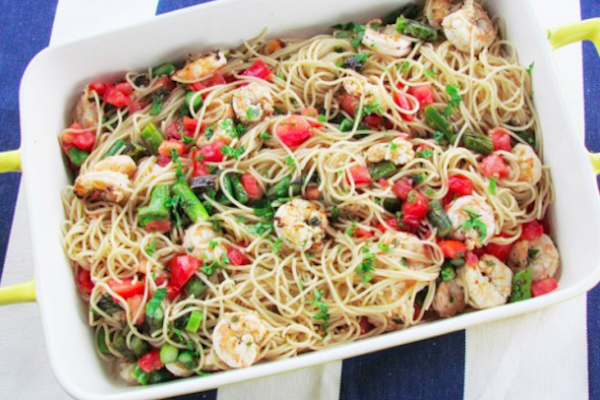 This shrimp scampi recipe by Thriving Home is screaming for fresh market ingredients like cherry tomatoes, asparagus and parsley. Summer on a plate! 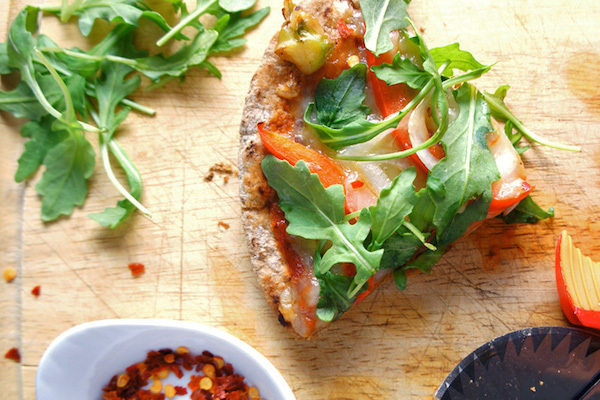 You can’t hide from the summer pairing of tomato and basil. 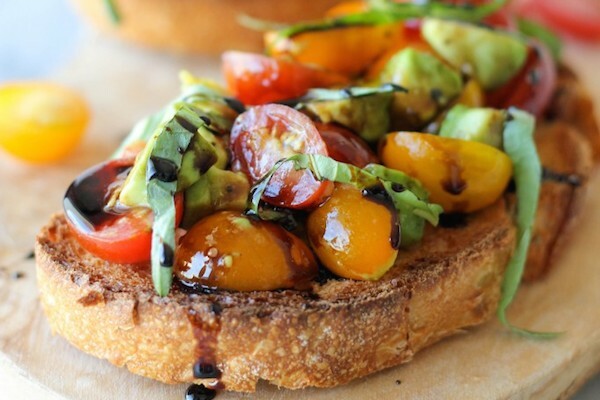 And why would you want to with recipes like this one for avocado bruschetta with balsamic reduction by Damn Delicious? Toasty baguettes topped with ripe avocado and grape tomatoes are a great starter, snack or meal. Anything advertised as “one pot” has us sold. 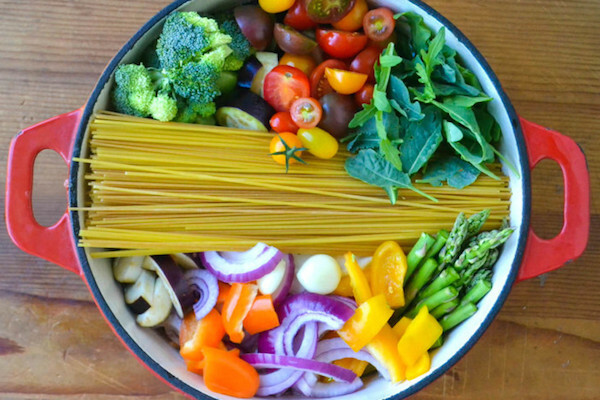 The View from Great Island shares a foolproof pasta primavera recipe. Step 1: Load up with a bounty of farmers market veggies. Step 2: Stick ‘em in a pot with pasta and liquid (water, wine, or stock). Step 3: Boil uncovered for 9 minutes, or until pasta is al dente. Step 4: Serve. 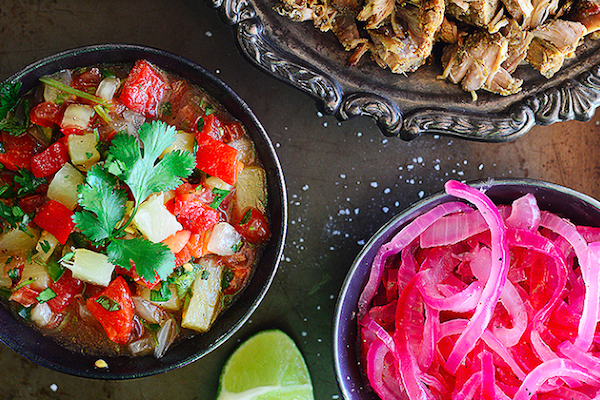 With this healthy pork carnitas recipe by Muy Delish, we zeroed in immediately on the pineapple salsa companion. A little sweet, a little tangy, a little spicy — ole! Step things up at your next gathering by stepping away from store-bought salsa. Twenty minutes is all you’ll need to wow your guests.